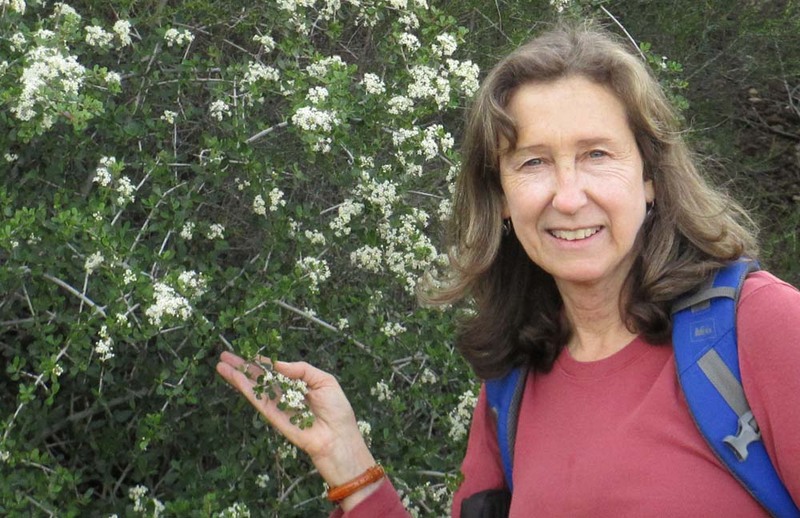 During its 50 years, the California Native Plant Society has advanced the protection and celebration of the vascular plants of California. Lo, the myriad flowers and ferns! Today, naturalists are expanding our view of nature beyond vascular plants and vertebrates toward smaller, under-appreciated organisms, often requiring a hand lens to see. 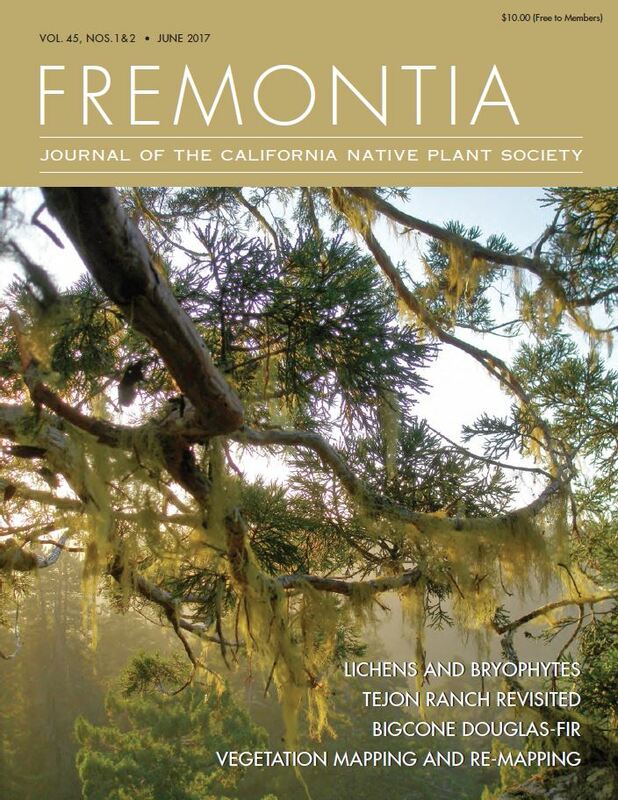 Much to my excitement, the newest issue of Fremontia is devoted to lichens and bryophytes, which will undoubtedly bring a bit more attention to our under-appreciated CNPS Bryophyte Chapter. Our mission is to increase understanding and appreciation of California’s mosses, liverworts, and hornworts—and to protect them where they grow. As naturalists, we live in happy times in which we look forward to plant conferences and lichen symposia. Attendees to these events can expect to engage with a rich social network of people supporting an increasingly wide-range of natural diversions. I hope in my lifetime, Californians will move toward supporting the protection of a diversity of organisms—big and small—while also supporting professionals who will study and manage them for conservation. With place-based collaborations including experts and amateurs sharing their passions, I believe one day liverworts will be recognized and appreciated as much as vascular plants are today. It is paramount that biological consultants be obliged to inventory organisms of all sizes and while also producing comprehensive manuals for other non-experts to read and enjoy. 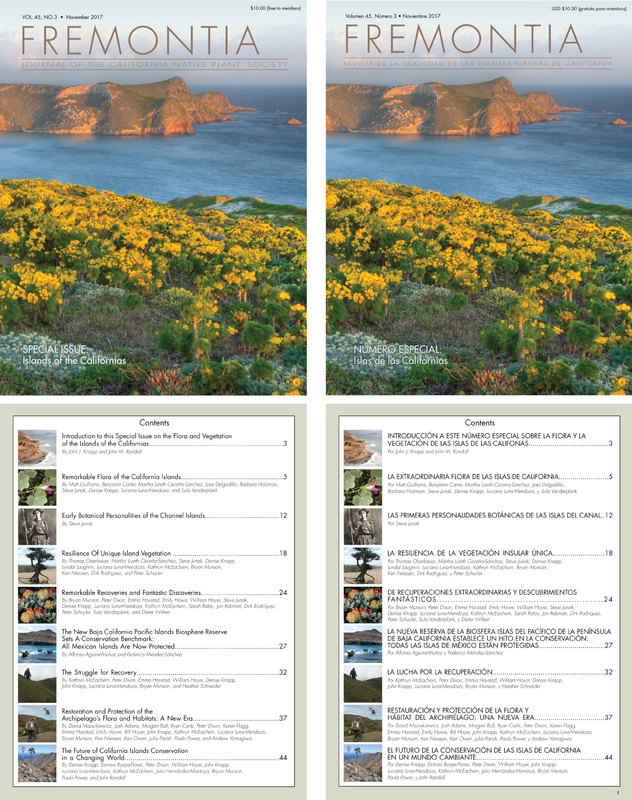 For now, revel in this wonderful issue with a cryptogram focus. Vote for the next Fremontia cover!